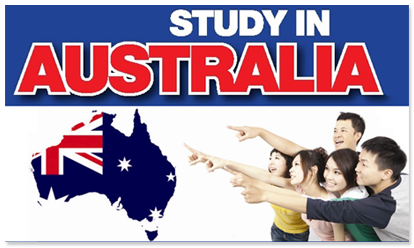 Study in Australia | Go For Visa | Australia Immigration Consultant & Visa Experts in India. Every year millions of people for all parts of the world move to Australia to study. Have you ever wondered why? What are the benefits of moving to English speaking country like Australia to study? The main benefit of studying in an English speaking country like Australia is exposure to the international language of the world. Australia is home to some of the world’s leading educational institutions, researchers and academics – including Nobel Prize winner Professor Peter Doherty, and Chris Bosse, designer of the Watercube at the Beijing Olympics to name just two of Australia recent success stories. But as a nation, Australia has been a home of innovation since our earliest days. Australians invented the black box flight recorder, WiFi internet, and the bionic ear – even the technology behind Google Maps was created in Australia. These days, Australian researchers are constantly developing ground-breaking projects that shape tomorrow. With a population of 21-million people, Australia is one of the best places in the world to live while they learn. The standard of living is amongst the highest in the world, yet costs remain competitive. On someone’s breaks from study, will have a wide choice of activities to enrich their experience - from cultural festivals, concerts and museums, to major sporting events. Also, Australian education has a strong international reputation for excellence. When you study at TOP Education Institute you will receive a quality education that will form a strong foundation for your future success. Australian institutions educate over 400,000 international students per year. For many, the most powerful lure is the quality and the diversity of Australia's education system. There are many benefits of studying in Australia. Students are attracted to the freedom to study and work and the relatively low living costs. They enjoy the challenge and freedom of studying overseas and the status that comes from studying at a reputable institution. Furthermore, students are attracted by the country's natural and man-made wonders, the peaceful environment, the cosmopolitan cities and multicultural communities. Studying in Australia encourages creative, innovative and independent thinking. Students learn the essential skills required for effective teamwork including communicating with others and developing abilities to become global citizens. Australian teachers encourage students to find original, practical solutions to real world problems and students are highly sought after by Australian and international employers upon graduation. The benefits of living and learning in Australia are both personal and academic. Your years in Australia will give you the best platform to succeed in your career, and prepare you for the challenges of the work place. It won’t just be your mind that develops - your time in the classroom will change you as a person. Australian universities are widely known for the quality of their teaching and research. You will learn from teachers who are experts in their industries and who can provide you with a sound understanding of your chosen field. You can get all the details for moving to Australia to study by clicking on www.goforvisa.com or www.goforvisa.com.au if you have any query mail us at info@goforvisa.com. This blog is really brilliant,as it will help a lot.